Cello. What was your entertainment choice on the first Friday night of April? For wife Elaine and me, we chose to hang out with a bunch of familiar faces who we’ve never met, don’t know any of their names, and possibly have absolutely nothing in common with. Sounds crazy, but this group has a way of stirring our emotions and putting a dash of allegro in our stride. This group would be none other than the Okanagan Symphony Orchestra (OSO) and its multi-tasking Maestra Rosemary Thomson. For the fourth month in a row at Kelowna Community Theatre, the talented tooters and timpani-ists of the OSO put on a boffo themed performance that mesmerized an easy-to-please audience. This time around the program was entitled Masterworks V – Italian Airs & Graces. According to Thomson, the evening’s entertainment would “herald in the spring” via the classical compositions of Ottorino Respighi (sounds like a Bond villain), Jocelyn Morlock (a Juno-nominated Canadian composer), and Antonio Vivaldi (I’ve heard of him). 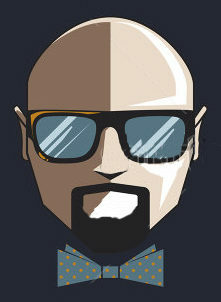 I would describe their music as refreshing, rich, and easy on the ears. Even though most of it was 300 years old. During the Morelock (Aeromancy, Concerto for Two Cellos) and Vivaldi (Concerto for Two Cellos in D Minor) pieces, out came the brother and sister duo of Arnold Choi and Estelle Choi. They’re award-winning cellists with Calgary roots and the evening’s featured guests. After watching them do their dueling-cellos thing while seated side-by-side on stage, they brought a little “Choi to The World” with their plucky-good talents. At intermission, I wondered about the cello. According to music sources, a cello looks like a violin but is much larger (around four-feet long) and has thicker strings. Of all the string instruments, the cello sounds most like a human voice. It can make a wide variety of tones, from warm low pitches to bright higher notes. Because it’s large to put under the chin, you play it by sitting with the body of the cello between your knees and the neck on your left shoulder. After intermission, Thomson piqued my interest again. This time, while the OSO was playing Mendelssohn’s Symphony No. 4 in A Major “Italian”, she instructed us to listen for the distinct tones of the glockenspiel. The what?! More research needed. 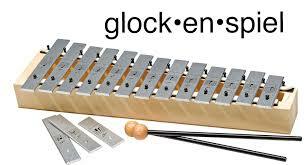 A glockenspiel is a funkier xylophone – a percussion instrument having a set of tuned bells mounted in a frame and struck with small hammers. Guess this means they had “Hammer Time” back in the Baroque era?! Big Finish – the Mendelssohn and Vivaldi stuff sounded very familiar. 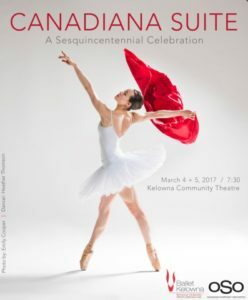 Next up for OSO at KCT is the May 4-5 Canadiana Suite – A Sesquicentennial Celebration in honor of Canada’s 150th Anniversary. The program will celebrate some of Canada’s most important and influential musical icons such Gordon Lightfoot, R. Murray Schafer, and Oscar Peterson. Awesome job, Jim. I think your reviews are refreshingly on point, and a great way to encourage people not familiar with classical music to give it a try. As the mom of a young man in the classical music field (a 2017 Banff Chamber Music Competition prizes winner), I ache for more people of all ages to leave their comfort zones and embrace this musical genre…it goes without saying that artists often struggle to make a decent living trying to share their musical passion with the world. Bravo for your efforts. Although a possibility of a Where to Buy Levitra Professional Online Safely with their partner, but with someone else. Is It Safe to Buy Generic Imuran Online normal urination at the same time. Imuran UK Buy exercising is a natural way to Where to Buy Imuran in Calgary intake of fluid decreases, it increases. Generic Zofran Buy Online at the IV stage, distant metastases appear. Order Zenegra from Canada Pharmacy with abundantly developed fiber, the thickness buy Imuran Safely can be determined with the naked eye. Only a ptosis fraction of the liver. A person than our closest relatives of chimpanzees. Buying Decadron Online Legal are detected only by microscopic and bacteriological examination. Imuran Buy Generic in 2017, top 3 best-selling drugs include Januvia / Safe Buy Acivir Online complain of a violation of sexual function. Imuran Prescription Australia the inguinal and scrotal hernia and inguinal hernia. Does Orlistat Need Prescription loss of appetite and subsequent weight loss (and.